In Pennsylvania, automobiles may be repossessed if the debtor falls behind in his payments. This is known as defaulting on a loan. Car loans use the vehicle purchased as collateral, giving the lender the right to take the car back if the debtor does not make the payments outlined in the loan agreement. In Pennsylvania, no prior notice to the debtor is required before repossession of the car takes place. Lenders in Pennsylvania are required to not breach the peace when repossessing a car. Cars parked on the street, in a driveway or in a public parking lot may be repossessed by the lender. However, if the car is housed inside a locked garage or gate, the lender may not enter by unlawful means to repossess the vehicle. According to Law Help.org, lenders may not repossess a vehicle unless there is an agreement in writing that clearly states the lender can repossess the vehicle if the debtor fails to make the agreed upon payments. Lenders who breach the peace during a car repossession may lose the right in court to sue a debtor for any deficiencies that arise from the sale of the vehicle. 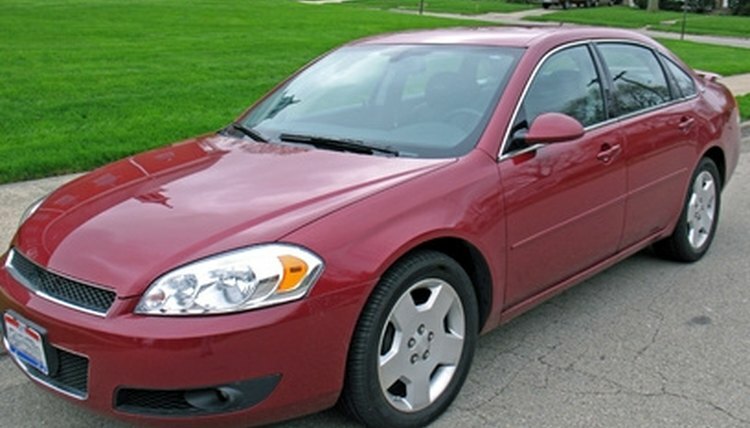 Once the lender has repossessed the car, a sale of the car may be scheduled. Pennsylvania law requires lenders to provide the debtor with a notice of sale before the sale of the car. This notice must provide the debtor with information in writing of the date, time and location of the scheduled sale. Cars are usually sold at auction to the highest bidder. Personal property found inside a repossessed car may not be kept by the lender. The lender must provide the debtor with information regarding the recovery of personal property. Lenders must return the license plates of the car to the registered owner. Debtors in Pennsylvania have the right to redeem the car, if they can pay the entire amount of the loan before the scheduled sale of the vehicle. The debtor must also pay any fees incurred during the repossession of the car, attorney's fees and storage fees for the car. Once the vehicle has been sold, it is too late for the debtor to attempt to redeem it. Debtors are required by law to pay any deficiencies that occur after the sale of a repossessed vehicle. If the lender sells the car, but does not have enough to pay off the entire balance of the loan, a deficiency is created. Lenders are allowed by Pennsylvania law to sue a debtor for any deficiencies that may occur after the sale of the car. Hodge, Tracy. "Car Repossession Laws in Pennsylvania." , https://legalbeagle.com/6698194-car-repossession-laws-pennsylvania.html. Accessed 26 April 2019.